Bought by Richard Branson in 1981, Kensington Roof Gardens has hosted many chic and spectacular events from celebrity birthdays to live music nights with all the big names from around the world. 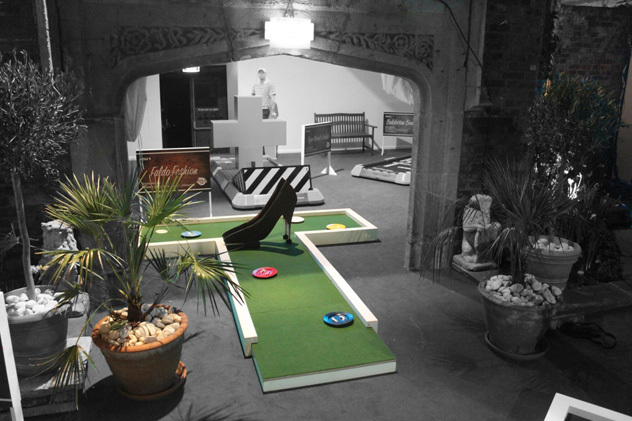 And in January this year, UrbanCrazy brought its own unique form of amusement to the roof gardens in the shape of corporate crazy golf… with a twist. 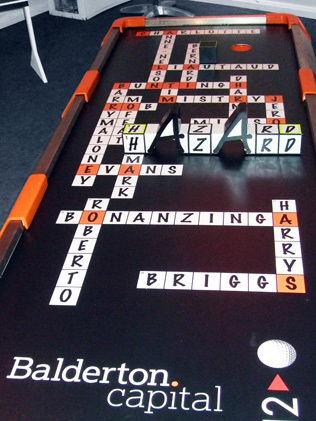 Each hole had a different theme to it! 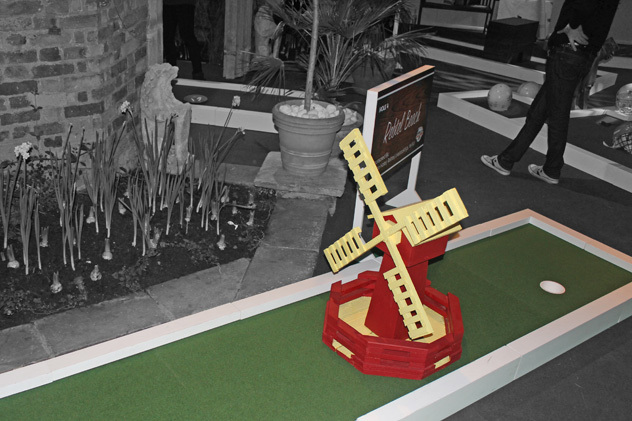 With a Lychee Mojito in one hand and a putter in the other, guests made their way around the course tackling the ‘Horse Racing’, ‘TV’ and ‘Fashion’ tracks to name but a few. 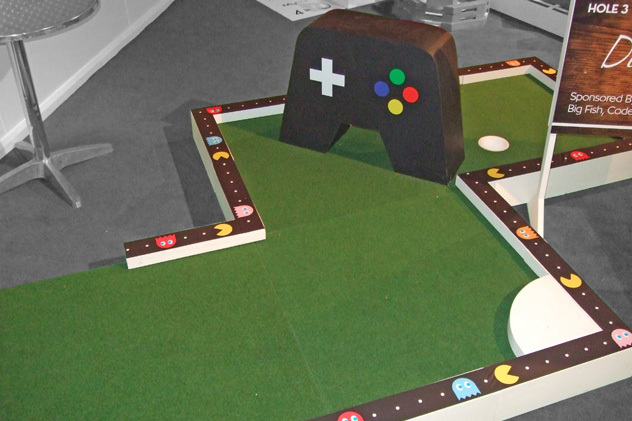 Every fairway, carefully thought out, included obstacles supplied by Theme Traders, PushUK and UrbanCrazy, as well as lots of challenges to keep people entertained and impressed. 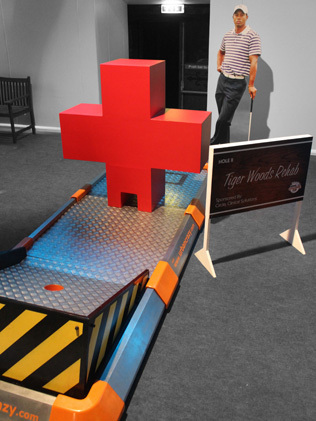 Watching how players tackled the ramp on ‘Music’ was particularly interesting, not to mention their reactions when walking past the life-size Tiger Woods cut-out! For photos of how the course looked, please click on the image (right) to open a gallery in full screen. Chatting to some of the ever-so-complimentary clients on the evening we knew we had done well. Dan Stanton, whose agency PushUK booked us for the corporate event, said that the “course looked great, complementing the event room at Kensington Roof Gardens. 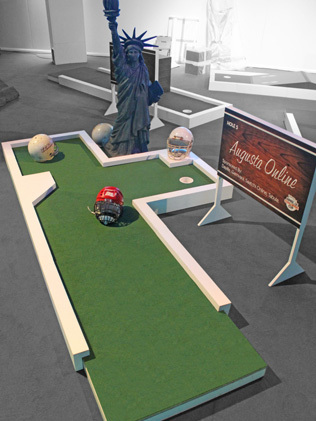 Our guests enjoyed their mini golfing experience just as we would have liked”. 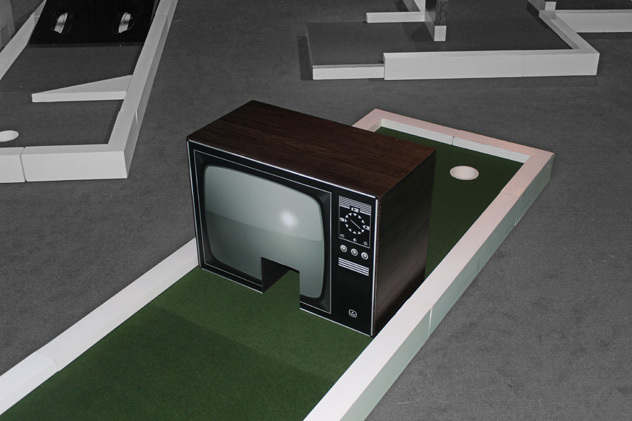 We at UrbanCrazy take pride in developing weird, wonderful, wacky and wild mini golf courses. If you are planning a corporate event and want to create a lasting impression, drop us a line and we’ll happily run through some ideas with you. 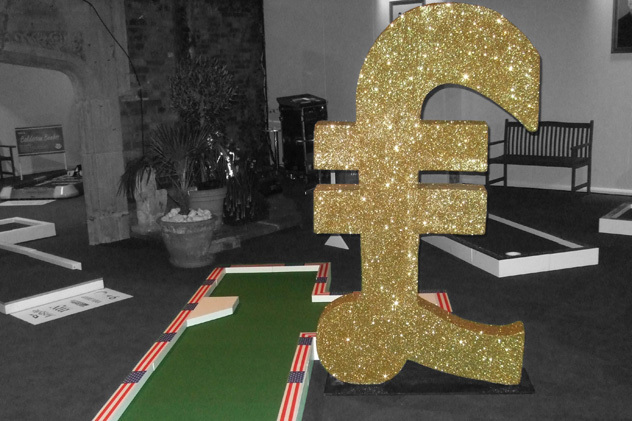 In addition, the props you see in the gallery can be hired out for your event, if so desired!